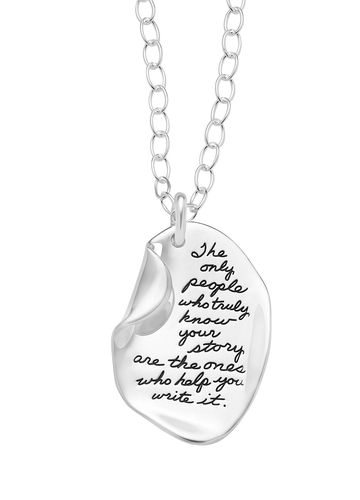 The only people who truly know your story are the ones who help you write it. As we fill the pages in our life stories, there are few people who truly know us. This medallion is a meaningful gift for the woman who doesn’t just know what’s written on each page of your story, she knows why each word is there. She understands who you are and what made you the person you are today because she has been there for you throughout your journey. The unique curved corner looks like you’re turning to a new page and inviting her to continue with you.